Create a ‘Gift with Purchase’ for a first quarter promotion. The target market was men aged 25-45 years. It needed to be a small product with perceived value and anti-theft properties were critical for the retail environment. It was also important that the product was easy for merchandisers to transport and attach to the bottles in-store. Our client was presented ten ideas and the client loved the idea of a ‘COMPRESSED TEE’. We were very mindful that the client had issues with theft of previous giveaways simply ‘walking out the door’. 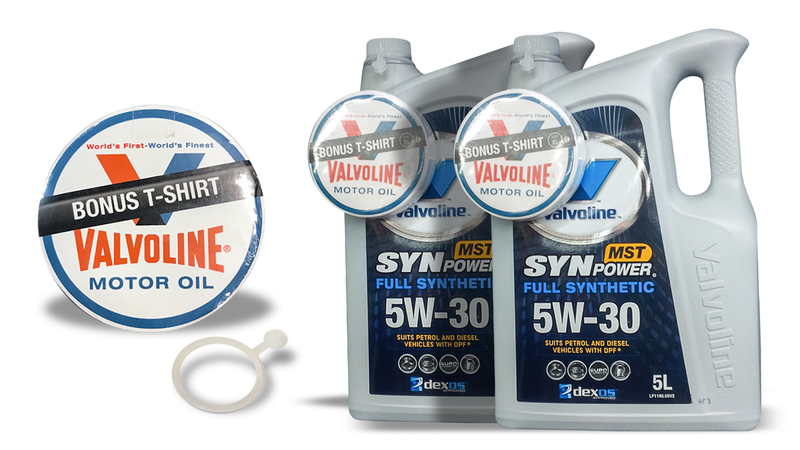 We took that statement seriously and researched tags, anti-theft devices and other options to attach the tee to the actual Valvoline bottle. A compressed tee is not bespoke but what we used to attach the tee to the bottle was. We worked specifically with two factories, one in Canada and one in China to develop a plastic ring that would easy slip over the lid of the oil bottle but not off again. The size had to be ‘just right’ for the Valvoline bottle. Not one compressed tee was reported stolen or missing. We see that as 100% success. The bonus was that the consumers loved the quirkiness of the tee and something to keep! What can Impact do for your brand?